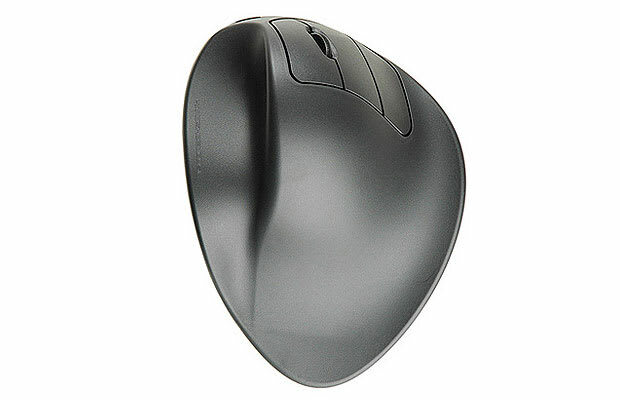 Resembling a stingray, the HandShoe Mouse is unapologetically ergonomic. If you have wrist trouble due to hours upon hours of computer use, you should heavily consider getting more ergonomic computer accessories. Backed by tons of research, the HandShoe Mouse was made to prevent carpal tunnel syndrome, the over exertion of certain hand and arm muscles from hovering (the continuous and sustained lifting of fingers over mouse buttons), and repetitive strain injury. It&apos;s not for everyone—you have to measure your hand to order the correct size—but if you feel the pain of every day computing, give the HandShoe Mouse a shot.